Manufacturers or repackagers realize that automated product labeling applications are as varied as the products that are offered. Each product and process offers its own unique challenges and opportunities. 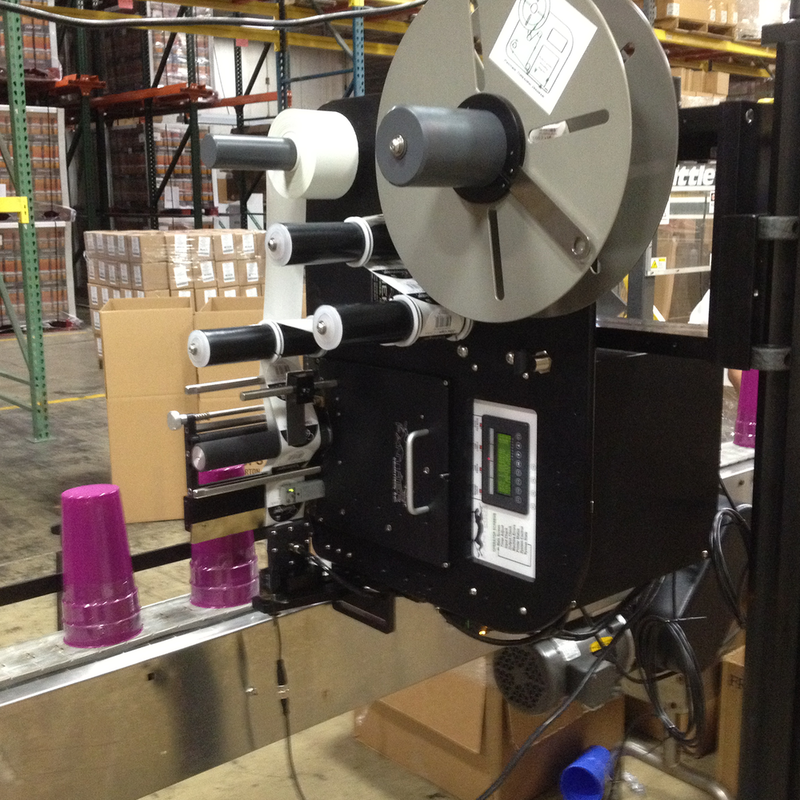 Manufacturers are looking to automate their production processes and labeling of a finished product is one such step. Our team works with you to find the most efficient way to label your individual products. We relish the challenge of finding a solution to enable you to achieve higher throughput, and on time delivery. Often times Panther Industries is introduced to a customer with a need for case or pallet labeling. That first need, many times, opens up other tertiary needs such as product labeling. Our product labeling portfolio spans many retail offerings, food and beverage containers, cosmetics and nutraceuticals, along with sporting goods and building products. Wherever a high volume rate of similar products is run, a Panther Industries solution can be applied. Manufacturers or repackagers understand the need to place an accurate label on their product. From the time that product made its debut to market it was most likely hand-labeled; this process is arduous and expensive. Whether a semi-automated or a fully automated solution with conveyors, baggers or sealers, Panther Industries has the industry knowledge to work with you to solve the toughest of product labeling projects. Those organizations who have utilized the Panther Industries solutions in their product labeling projects have been able to achieve greater throughput, at lower total cost, with higher on-time deliveries. Our solutions are engineered to offer a consistent, accurate product label, while minimizing planned and unplanned downtime.